Book your third party with us and receive a $50 discount! 50% of fee must be paid at time of booking with the remainder to be paid within 7 days prior to the party date. The Houston Museum of Natural Science prefers credit cards as a method of payment. If you would prefer to pay in cash, we will accept cash payments for a birthday party as long as the initial deposit of 50% is made at the time of booking and the remaining balance is paid within 7 days prior to the party date. All birthday parties must be paid prior to the date of the party. Failure to do so will result in the birthday party being cancelled. We appreciate your cooperation. Customer Appreciation Discount: Book your 3rd with us and receive a $50 discount. Summer Special: Book a party to be held in June, July or August and receive a $50 discount. Member Discount: Members receive a $100 discount year-round! Not a Member? Party Smarty is happy to help you become one. Joint Parties: If you would like host a joint party, an additional fee of $250 will apply for each added birthday child . This fee applies to both basic and deluxe Party Smarty packages. The joint party fee does not apply to siblings. Holiday Fee: For parties booked on a Holiday, there will be an additional $100 charge. Weekday discount does not apply on holidays. Rush Fee: For parties booked 7 days out or less, we will apply an additional $50 Rush fee. Rescheduling Fee: One free rescheduling of your party date is allowed. Any subsequent rescheduling will be subject to a $50 fee per change. Balloons: $25 (includes 1 dozen inflated 12″ latex balloons) provided by the Museum. If you provide 1 dozen 12″ latex balloons, the Museum will inflate them for $15. The Museum can inflate Mylar balloons, however the price will depend on the quantity and size. Due to space limitations, we cannot inflate balloons 36″ or larger. By law, no outside liquor may be brought onto the premises. Alcohol will not be tolerated or permitted under any circumstances during birthday party activities. You are more than welcome to bring your own food or have food delivered to the museum for your party, however for the safety of our patrons the following items are not allowed: hot plates, crockpots, chafing dishes, sparkler candles or any other heating or warming devices. No Outside Vendors (e.g. balloon artist, face painter, magician). No full-scale catering companies. We do allow you to bring in food or have it delivered, as long as it is not a full-scale catering company. 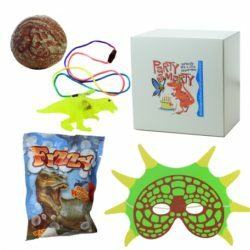 The Houston Museum of Natural Science does not offer any refunds on birthday parties. The Houston Museum of Natural Science allows a one-time reschedule of a birthday party. Any add-ons that were booked for the original birthday party date are not guaranteed on the rescheduled date. However, the museum will make every effort to reschedule all original add-ons. Any subsequent reschedulings will be subject to a $50 fee per change. Do you live in the Sugar Land area and want to keep the party a little closer to home? Party Smarty is also conveniently available at HMNS at Sugar Land. The format is the same, with guests able to tour Dinosaur Alley, tour the Frog exhibit or view a film in the Discovery Dome. To book your party, call 713-639-4646 or email Birthdays@hmns.org.